Monitor the status effortlessly of hard-to-reach batteries. 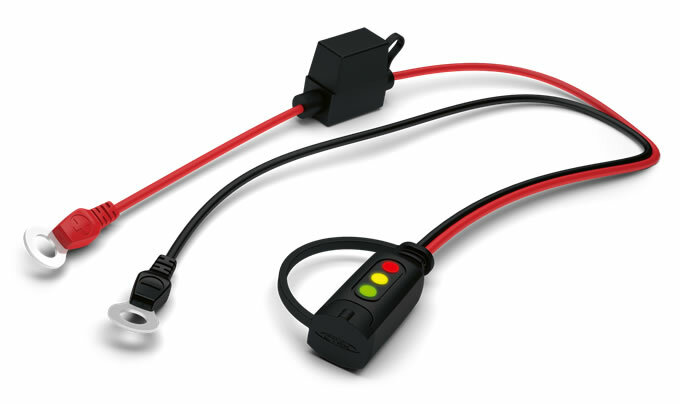 Allowing effortless connection to the battery courtesy of its eyelet terminals, this status indicator is ideal for accessing otherwise difficult to reach batteries. Designed to fit Husqvarna's XS800 charger (new connection) and the BC 08.